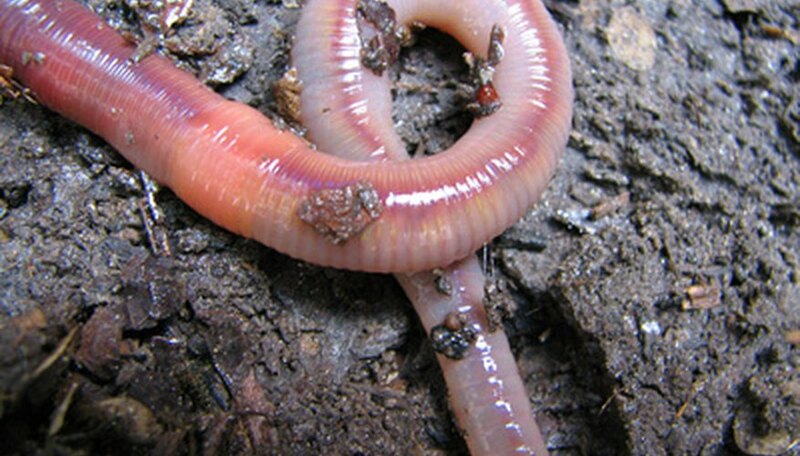 Vermiculture refers to the raising of earthworms under controlled conditions. Anyone from apartment dwellers who keep a worm bin on the kitchen counter to students who create an insulated outdoor pit for cafeteria waste can practice vermiculture. The related term vermicompost refers to the end product created by the worms: a nutrient-rich humus containing worm manure (“castings”) and associated organisms. Earthworms have won praise as brilliant soil excavators and improvers from Aristotle, Cleopatra and Charles Darwin. But it wasn’t until the 1970s that Kalamazoo, Michigan, biology teacher Mary Appelhof developed the idea of using red wiggler worms, Eisenia fetida, in contained indoor or outdoor systems to convert ordinary kitchen scraps into valuable worm compost. She produced a simple brochure, “Basement Worm Bins Produce Potting Soil and Reduce Garbage,” in 1973, and the book “Worms Eat My Garbage” in 1982 (revised in 1997), to bring popular attention to her system. Compost worms require food, bedding, moisture, temperature, pH and darkness to thrive. They can typically eat most vegetable scraps, preferring pumpkin and mango especially, except for dairy and meat. Crushed eggshells provide them with grit and calcium. Paper, cardboard and moistened paperboard egg cartons can serve as bedding. Place their food in pockets in the bedding and cover it up with several inches of bedding. Their bedding needs to be moist but not sopping wet, with a temperature ideally in the low 70s Fahrenheit, a neutral pH and kept in the dark. Successful vermiculture results in a doubling of the worm population in about three months as adults lay cocoons and juveniles reach sexual maturity. In this same time frame, the worms create both compost and surplus worms that you can use to populate additional worm bins or sell. Successful vermiculture hinges on not overfeeding your worm bin, which can result in anaerobic bacteria that smell bad and pose a threat to the worm population. Worm farmers call this problem sour crop or protein poisoning. Avoid this by checking whether the worms have finished their current pocket of food before adding more. If protein poisoning occurs, create an emergency bin with bedding and picked-out worms in a bucket or cooler and clean and restart your original bin with fresh bedding and a small amount of food. Vermiculture reduces the waste stream created by a typical household or institution by diverting not only appropriate food scraps into the worm bin but also scrap paper, shredded or torn junk mail, and corrugated cardboard, used for bin bedding. In “Worms Eat My Garbage,” Appelhof describes the whole vermicomposting process as one that is “very simple and has obvious advantages in addition to increasing garden yields.” She praised compost worms as not making noise, requiring little care, creating “wonderful fertilizer” and allowing her to save money on weekly trash pickup. Can I Add Earth Worms to My Compost Pile? Can I Put Old Potatoes in My Compost Pile?